“GBP has traded back towards critical support areas. 1.2615 is GBPUSD's line in the sand for technically oriented investors defining a bear market from a bull market scenario." 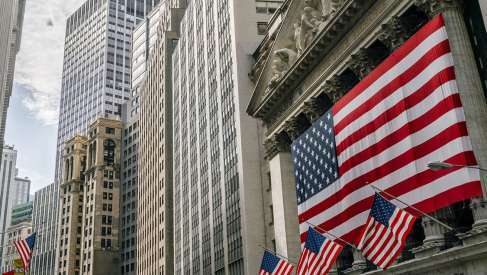 Foreign exchange analysts have been turning against the US Dollar over recent months as the currency’s multi-year rally faded alongside the market’s realisation that President Donald Trump might not be able to deliver on his pre-election manifesto promises. Trumps failure to deliver on his promises of fiscal reform is just one compelling reason to believe that the long-term cycle might have turned once again. We would direct readers to recent research by HSBC for more on this paritcular argument. But as always the case in foreign exchange discussion, there are two sides to the argument. Analyst Hans Redeker at Morgan Stanley has this week told clients that his team now believe USD weakness has gone too far. “Within six months, markets have swung from being extremely upbeat on the USD to the opposite, but by now USD sentiment and positioning have gone to extreme levels, suggesting that a minor improvement in the fundamental outlook of the USD or a significant equity market decline could spark a significant USD upward reaction,” says Redeker in a briefing dated June 12. It is the belief of the US investment bank that over recent weeks USD has decoupled from nominal interest rate differentials, suggesting that the importance of debt-related flows has eased relative to equity and other long-term asset flows. “This is why the equity market evolution is determining the direction of the USD for now,” says Redeker. 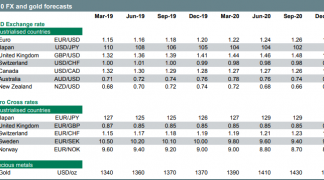 Morgan Stanley have turned tactically bullish on USD and see negative sentiment and short positioning as extreme and a modest increase in the outlook could result in a significant USD appreciation. Analysts believe the weaker-than-expected June payroll report is still good enough to enable the FOMC to raise rates this week. Other labour market data painted a rosier picture, with the JOLTS survey showing record job openings, the ISM non-manufacturing employment component unexpectedly surging, and the Beige Book indicating labour shortages in various districts. It is argued that most of the recent data moderation has been spotted among soft indicators while most hard data have remained solid. Most labour markets continue to tighten at a rapid pace and it seems that it is now the shortage of skilled labour which is hampering hiring. In the US, the spread between job openings and the rise of employment has become wider, suggesting that a period of higher wage growth may be imminent. USD sentiment hit a bearish extreme as investors disagreed with the Fed’s projected rate hike path, but has started rebounding since last Friday. “We call the DXY 2% higher from here in the next six weeks," says Redeker in a note dated June 13. The DXY is the Dollar index - a measure of overall Dollar performance as per its performance against its main competitors. The Euro, Yen and Pound are the largest components of this basket. Regarding GBP/USD specifically, technical analysts at the bank note “GBP has traded back towards critical support areas. 1.2615 is GBPUSD's line in the sand for technically oriented investors defining a bear market from a bull market scenario." The warning from Morgan Stanley is just that - a warning to those in the market to not become complacent and expect the unexpected. Indeed, economists at the same bank continue to advocate for a rise in EUR/USD, despite this latest warning from strategists to expect a USD rebound. 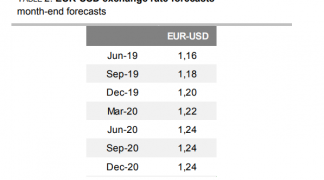 This apparent contradiction could reflect differences in timeframes under discussion with the EUR/USD forecast to rise into the year end but a rebound in the USD seen in the interim. 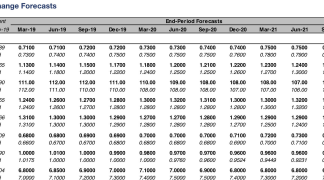 The Pound to Dollar exchange rate is meanwhile forecast to trade at 1.28 by the end of the year by economists; so if the US Dollar does recover that strength could prove to be fleeting. That said, looking at 2018 Morgan Stanley see GBP/USD going down to 1.23 by the middle of the year.